The StreetScooter Work XL uses technology from Ford's Transit van. MUNICH -- Ford Motor, which has been cooperating with Deutsche Post on electric vans, said it's ready to help the German mail operator take its surprise hit vehicle global. The U.S. automaker started working with Deutsche Post last year on making an electric delivery van in Germany. The deal, in which Ford supplies the chassis of its Transit vehicle, added to an expanding lineup of no-frills, zero-emissions products the logistics provider has developed since 2014 after it couldn't find a suitable solution among automakers to meet its needs. "If there were appetite, we could help to replicate the business" elsewhere, Steven Armstrong, who heads Ford's European business, said Monday in an interview in Detroit on the sidelines of the Detroit auto show. "We have had an early discussion that we do have that global footprint." Deutsche Post bought electric-vehicle manufacturer StreetScooter in 2014 and now has 5,000 vans and 2,200 bicycles or tricycles built by the unit in its delivery fleet. The Bonn-based mail service eventually plans to operate only battery-powered models and is looking to sell StreetScooter products to third parties like bakeries and airports. Outside customers for StreetScooter's vans in Germany already include municipalities, a fish retailer and an electric utility, with the biggest deal so far a 500-vehicle joint order from leasing operator Comco and Bochum-based community bank GLS, said Alexander Edenhofer, a Deutsche Post spokesman. While the companies are constantly in talks as partners, there are currently "no concrete plans" for expanding the Ford agreement, he said. The success of a company with no auto manufacturing expertise has annoyed Volkswagen Group, which is making record investments in EVs and had hoped to help Deutsche Post develop an electric van. Mercedes-Benz has also responded after its one-time customer became a competitor, announcing plans to roll out the eVito. StreetScooter will be able to produce 20,000 vehicles a year once a new plant begins operating in mid-2018. 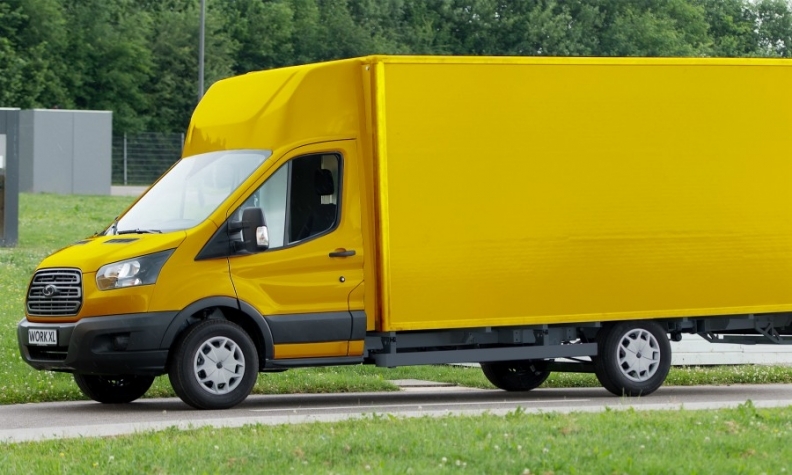 The Ford Transit-based model, the Work XL, is the largest of the Deutsche Post unit's three electric vans, with capacity for more than 200 parcels and a range of as much as 200 kilometers (124 miles). "We're helping to make 2,500 vans this year," said Armstrong. "I'd like to think of them as the first 2,500."